173:0.1 EARLY ON THIS Monday morning, by prearrangement, Jesus and the apostles assembled at the home of Simon in Bethany, and after a brief conference they set out for Jerusalem. The twelve were strangely silent as they journeyed on toward the temple; they had not recovered from the experience of the preceding day. They were expectant, fearful, and profoundly affected by a certain feeling of detachment growing out of the Master’s sudden change of tactics, coupled with his instruction that they were to engage in no public teaching throughout this Passover week. 173:0.2 As this group journeyed down Mount Olivet, Jesus led the way, the apostles following closely behind in meditative silence. There was just one thought uppermost in the minds of all save Judas Iscariot, and that was: What will the Master do today? The one absorbing thought of Judas was: What shall I do? Shall I go on with Jesus and my associates, or shall I withdraw? And if I am going to quit, how shall I break off? 173:0.3 It was about nine o’clock on this beautiful morning when these men arrived at the temple. They went at once to the large court where Jesus so often taught, and after greeting the believers who were awaiting him, Jesus mounted one of the teaching platforms and began to address the gathering crowd. The apostles withdrew for a short distance and awaited developments. 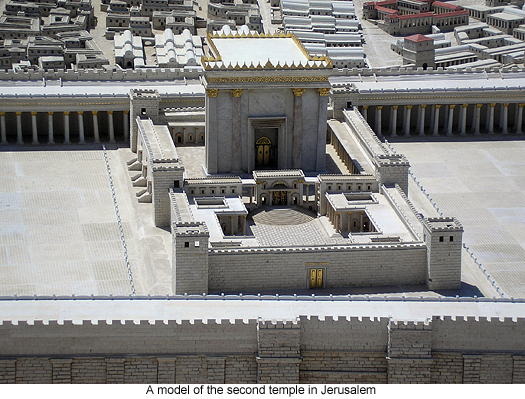 173:1.1 A huge commercial traffic had grown up in association with the services and ceremonies of the temple worship. There was the business of providing suitable animals for the various sacrifices. Though it was permissible for a worshiper to provide his own sacrifice, the fact remained that this animal must be free from all “blemish” in the meaning of the Levitical law and as interpreted by official inspectors of the temple. Many a worshiper had experienced the humiliation of having his supposedly perfect animal rejected by the temple examiners. It therefore became the more general practice to purchase sacrificial animals at the temple, and although there were several stations on near-by Olivet where they could be bought, it had become the vogue to buy these animals directly from the temple pens. Gradually there had grown up this custom of selling all kinds of sacrificial animals in the temple courts. An extensive business, in which enormous profits were made, had thus been brought into existence. Part of these gains was reserved for the temple treasury, but the larger part went indirectly into the hands of the ruling high-priestly families. 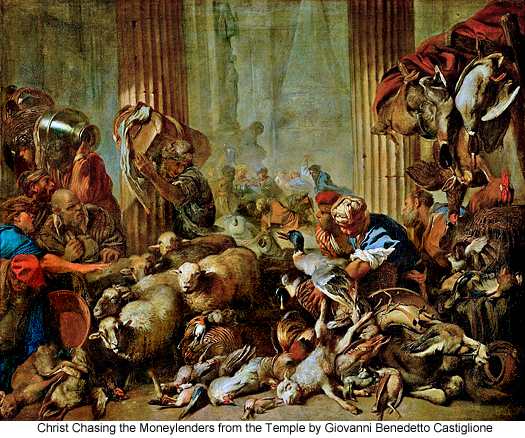 173:1.2 This sale of animals in the temple prospered because, when the worshiper purchased such an animal, although the price might be somewhat high, no more fees had to be paid, and he could be sure the intended sacrifice would not be rejected on the ground of possessing real or technical blemishes. At one time or another systems of exorbitant overcharge were practiced upon the common people, especially during the great national feasts. At one time the greedy priests went so far as to demand the equivalent of the value of a week’s labor for a pair of doves which should have been sold to the poor for a few pennies. The “sons of Annas” had already begun to establish their bazaars in the temple precincts, those very merchandise marts which persisted to the time of their final overthrow by a mob three years before the destruction of the temple itself. 173:1.4 These temple money-changers not only conducted a regular banking business for profit in the exchange of more than twenty sorts of money which the visiting pilgrims would periodically bring to Jerusalem, but they also engaged in all other kinds of transactions pertaining to the banking business. Both the temple treasury and the temple rulers profited tremendously from these commercial activities. It was not uncommon for the temple treasury to hold upwards of ten million dollars while the common people languished in poverty and continued to pay these unjust levies. 173:1.5 In the midst of this noisy aggregation of money-changers, merchandisers, and cattle sellers, Jesus, on this Monday morning, attempted to teach the gospel of the heavenly kingdom. He was not alone in resenting this profanation of the temple; the common people, especially the Jewish visitors from foreign provinces, also heartily resented this profiteering desecration of their national house of worship. At this time the Sanhedrin itself held its regular meetings in a chamber surrounded by all this babble and confusion of trade and barter. 173:1.6 As Jesus was about to begin his address, two things happened to arrest his attention. 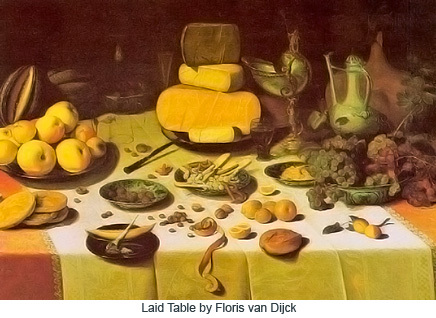 At the money table of a near-by exchanger a violent and heated argument had arisen over the alleged overcharging of a Jew from Alexandria, while at the same moment the air was rent by the bellowing of a drove of some one hundred bullocks which was being driven from one section of the animal pens to another. As Jesus paused, silently but thoughtfully contemplating this scene of commerce and confusion, close by he beheld a simple-minded Galilean, a man he had once talked with in Iron, being ridiculed and jostled about by supercilious and would-be superior Judeans; and all of this combined to produce one of those strange and periodic uprisings of indignant emotion in the soul of Jesus. 173:1.8 But before he could utter other words, the great assembly broke out in hosannas of praise, and presently a throng of youths stepped out from the crowd to sing grateful hymns of appreciation that the profane and profiteering merchandisers had been ejected from the sacred temple. By this time certain of the priests had arrived on the scene, and one of them said to Jesus, “Do you not hear what the children of the Levites say?” And the Master replied, “Have you never read, `Out of the mouths of babes and sucklings has praise been perfected’?” And all the rest of that day while Jesus taught, guards set by the people stood watch at every archway, and they would not permit anyone to carry even an empty vessel across the temple courts. 173:1.9 When the chief priests and the scribes heard about these happenings, they were dumfounded. All the more they feared the Master, and all the more they determined to destroy him. But they were nonplused. They did not know how to accomplish his death, for they greatly feared the multitudes, who were now so outspoken in their approval of his overthrow of the profane profiteers. 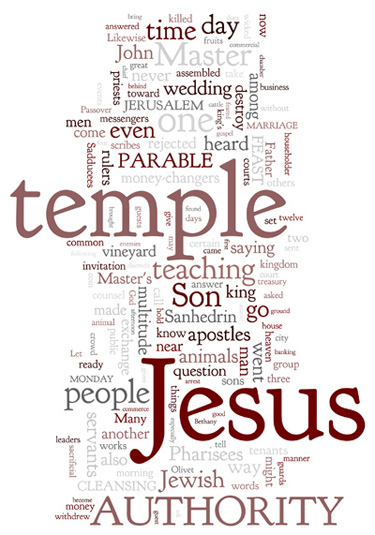 And all this day, a day of quiet and peace in the temple courts, the people heard Jesus’ teaching and literally hung on his words. 173:1.10 This surprising act of Jesus was beyond the comprehension of his apostles. They were so taken aback by this sudden and unexpected move of their Master that they remained throughout the whole episode huddled together near the speaker’s stand; they never lifted a hand to further this cleansing of the temple. If this spectacular event had occurred the day before, at the time of Jesus’ triumphal arrival at the temple at the termination of his tumultuous procession through the gates of the city, all the while loudly acclaimed by the multitude, they would have been ready for it, but coming as it did, they were wholly unprepared to participate. 173:1.11 This cleansing of the temple discloses the Master’s attitude toward commercializing the practices of religion as well as his detestation of all forms of unfairness and profiteering at the expense of the poor and the unlearned. 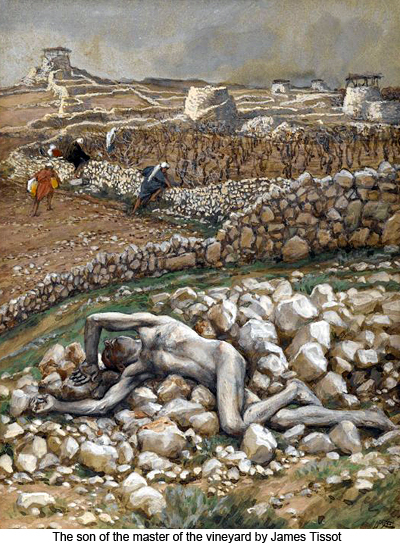 This episode also demonstrates that Jesus did not look with approval upon the refusal to employ force to protect the majority of any given human group against the unfair and enslaving practices of unjust minorities who may be able to entrench themselves behind political, financial, or ecclesiastical power. Shrewd, wicked, and designing men are not to be permitted to organize themselves for the exploitation and oppression of those who, because of their idealism, are not disposed to resort to force for self-protection or for the furtherance of their laudable life projects. 173:2.1 On Sunday the triumphal entry into Jerusalem so overawed the Jewish leaders that they refrained from placing Jesus under arrest. Today, this spectacular cleansing of the temple likewise effectively postponed the Master’s apprehension. Day by day the rulers of the Jews were becoming more and more determined to destroy him, but they were distraught by two fears, which conspired to delay the hour of striking. The chief priests and the scribes were unwilling to arrest Jesus in public for fear the multitude might turn upon them in a fury of resentment; they also dreaded the possibility of the Roman guards being called upon to quell a popular uprising. 173:2.6 Jesus never intended to appeal to John for his authority; John had never been ordained by the Sanhedrin. Jesus’ authority was in himself and in his Father’s eternal supremacy. 173:2.7 In employing this method of dealing with his adversaries, Jesus did not mean to dodge the question. At first it may seem that he was guilty of a masterly evasion, but it was not so. Jesus was never disposed to take unfair advantage of even his enemies. In this apparent evasion he really supplied all his hearers with the answer to the Pharisees' question as to the authority behind his mission. They had asserted that he performed by authority of the prince of devils. Jesus had repeatedly asserted that all his teaching and works were by the power and authority of his Father in heaven. This the Jewish leaders refused to accept and were seeking to corner him into admitting that he was an irregular teacher since he had never been sanctioned by the Sanhedrin. In answering them as he did, while not claiming authority from John, he so satisfied the people with the inference that the effort of his enemies to ensnare him was effectively turned upon themselves and was much to their discredit in the eyes of all present. 173:2.8 And it was this genius of the Master for dealing with his adversaries that made them so afraid of him. They attempted no more questions that day; they retired to take further counsel among themselves. But the people were not slow to discern the dishonesty and insincerity in these questions asked by the Jewish rulers. Even the common folk could not fail to distinguish between the moral majesty of the Master and the designing hypocrisy of his enemies. But the cleansing of the temple had brought the Sadducees over to the side of the Pharisees in perfecting the plan to destroy Jesus. And the Sadducees now represented a majority of the Sanhedrin. 173:3.3 Jesus did not despise the Pharisees and Sadducees personally. It was their systems of teaching and practice which he sought to discredit. He was hostile to no man, but here was occurring the inevitable clash between a new and living religion of the spirit and the older religion of ceremony, tradition, and authority. 173:3.4 All this time the twelve apostles stood near the Master, but they did not in any manner participate in these transactions. Each one of the twelve was reacting in his own peculiar way to the events of these closing days of Jesus’ ministry in the flesh, and each one likewise remained obedient to the Master’s injunction to refrain from all public teaching and preaching during this Passover week. 173:4.5 When the Pharisees heard these words, they understood that Jesus referred to themselves and the other Jewish leaders. They greatly desired to lay hold on him then and there, but they feared the multitude. However, they were so angered by the Master’s words that they withdrew and held further counsel among themselves as to how they might bring about his death. And that night both the Sadducees and the Pharisees joined hands in the plan to entrap him the next day. 173:5.2 “The kingdom of heaven may be likened to a certain king who made a marriage feast for his son and dispatched messengers to call those who had previously been invited to the feast to come, saying, `Everything is ready for the marriage supper at the king’s palace.’ Now, many of those who had once promised to attend, at this time refused to come. When the king heard of these rejections of his invitation, he sent other servants and messengers, saying: `Tell all those who were bidden, to come, for, behold, my dinner is ready. My oxen and my fatlings are killed, and all is in readiness for the celebration of the forthcoming marriage of my son.’ But again did the thoughtless make light of this call of their king, and they went their ways, one to the farm, another to the pottery, and others to their merchandise. Still others were not content thus to slight the king’s call, but in open rebellion they laid hands on the king’s messengers and shamefully mistreated them, even killing some of them. And when the king perceived that his chosen guests, even those who had accepted his preliminary invitation and had promised to attend the wedding feast, had finally rejected his call and in rebellion had assaulted and slain his chosen messengers, he was exceedingly wroth. And then this insulted king ordered out his armies and the armies of his allies and instructed them to destroy these rebellious murderers and to burn down their city. 173:5.4 After speaking this parable, Jesus was about to dismiss the multitude when a sympathetic believer, making his way through the crowds toward him, asked: “But, Master, how shall we know about these things? how shall we be ready for the king’s invitation? what sign will you give us whereby we shall know that you are the Son of God?” And when the Master heard this, he said, “Only one sign shall be given you.” And then, pointing to his own body, he continued, “Destroy this temple, and in three days I will raise it up.” But they did not understand him, and as they dispersed, they talked among themselves, saying, “Almost fifty years has this temple been in building, and yet he says he will destroy it and raise it up in three days.” Even his own apostles did not comprehend the significance of this utterance, but subsequently, after his resurrection, they recalled what he had said. 173:5.5 About four o’clock this afternoon Jesus beckoned to his apostles and indicated that he desired to leave the temple and to go to Bethany for their evening meal and a night of rest. On the way up Olivet Jesus instructed Andrew, Philip, and Thomas that, on the morrow, they should establish a camp nearer the city which they could occupy during the remainder of the Passover week. In compliance with this instruction the following morning they pitched their tents in the hillside ravine overlooking the public camping park of Gethsemane, on a plot of ground belonging to Simon of Bethany. 173:5.6 Again it was a silent group of Jews who made their way up the western slope of Olivet on this Monday night. These twelve men, as never before, were beginning to sense that something tragic was about to happen. 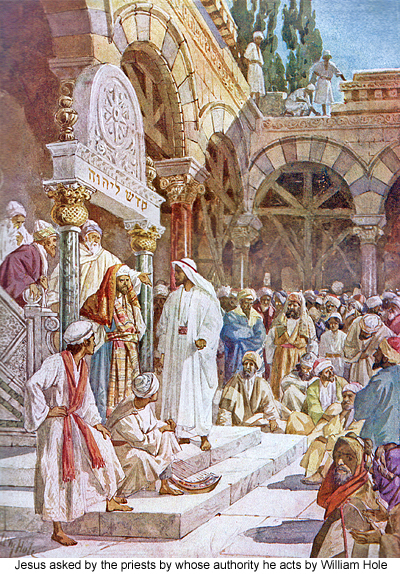 While the dramatic cleansing of the temple during the early morning had aroused their hopes of seeing the Master assert himself and manifest his mighty powers, the events of the entire afternoon only operated as an anticlimax in that they all pointed to the certain rejection of Jesus’ teaching by the Jewish authorities. The apostles were gripped by suspense and were held in the firm grasp of a terrible uncertainty. They realized that only a few short days could intervene between the events of the day just passed and the crash of an impending doom. They all felt that something tremendous was about to happen, but they knew not what to expect. They went to their various places for rest, but they slept very little. Even the Alpheus twins were at last aroused to the realization that the events of the Master’s life were moving swiftly toward their final culmination.